Sunday Services at 8:00, 9:00 and 10:00 a.m., Wednesdays at 7:00 p.m.
Worship is at the heart of what we do and how we come together as a community. Anyone is welcome to join us at any worship service. On Sundays we celebrate the Holy Eucharist (Communion) at all three services. 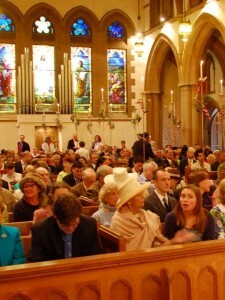 We also come together for a quiet Service on Wednesday Evenings. To join in anyone of these ministries contact the Rector, The Rev. John A. Mennell to get in touch with the right ministry leader.